My recent Couch 2 SXSW posts have focused on how to get the most out of a large technology conference. It made me wonder, are we even getting the most out of our everyday technology? Apparently not! Experts estimate that 90 percent of features included with software go unused. We may be able to get by using just 10 percent of a product’s features, but what kind of process improvements and productivity increases could we see if we really knew how to use the technology we’re already paying for? So what’s the best way your business can take advantage of the technology you already own? Use the two “Ts”: tips and training. While you may not have the time to learn all of the ins and outs of your technology tools, someone does. Luckily, power users are typically thrilled to share their knowledge, whether it’s via forums, user groups or even on YouTube. (Seriously – YouTube has the best tips and tricks videos. This isn’t exactly a business example, but YouTube tips saved my life when I was stuck on some of the more difficult levels of Two Dots). A quick Google search may be all that stands between you and that tip that changes the way you do everything. Here at TDS, we found that when we surveyed our TDS managedIP Hosted customers one thing we heard loud and clear is that they wanted more training. While our Support Site has user guides, videos and FAQs, we decided to supplement those materials with free monthly webinars on specific topics important to our customers. Find out what kind of continuing training is available from your technology partners. A small time investment today will pay off in a big way when you and your employees are able to better use the tools you already own. 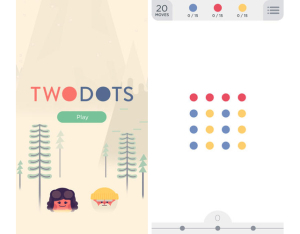 Also, don’t start playing Two Dots. It’ll ruin your life.